Independent wine insight magazine. 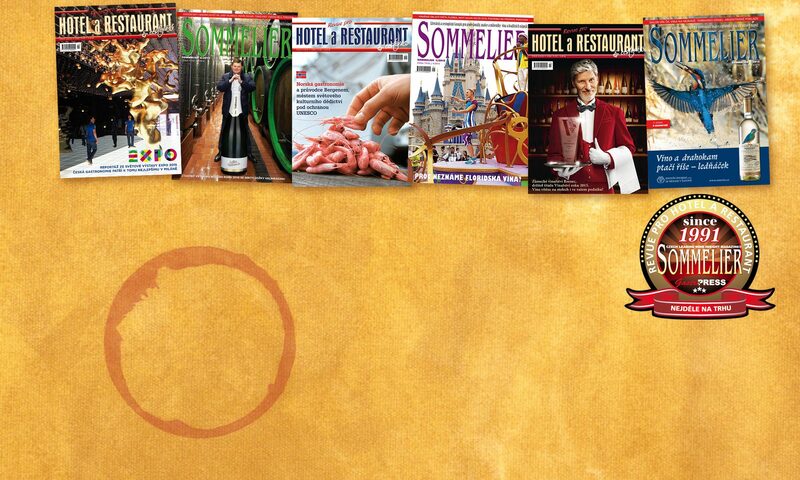 Specialised magazine for gastronomy, hospitality, ho.re.ca, tourism industry and travels. Two magazines in one sheet. Readings: A single copy of SOMMELIER / Revue for Hotel and Restaurant reads 5 to 7 readers according to surveys. • Selected vinotheques, Makro Cash´n ´Carry, Kaufland, Tesco, by order on press stands and tobacco shops thru PNS a.s.